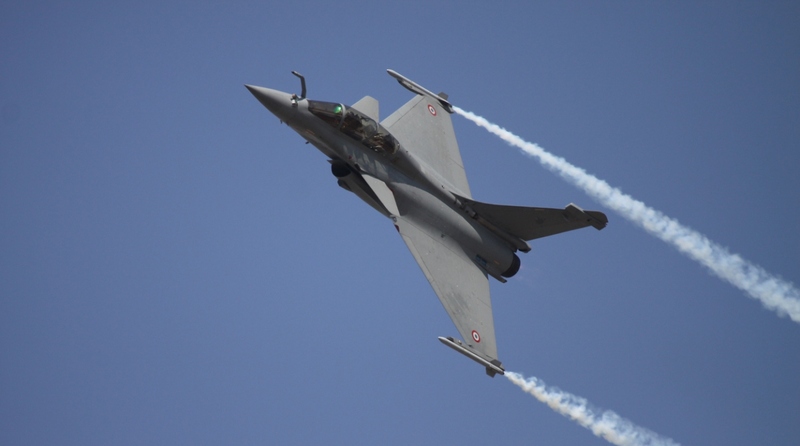 The Congress on Monday renewed its salvos on the ruling Bharatiya Janata Party (BJP) over the Dassault Rafale deal with France stating that there was no clause in the 2008 agreement which prevents India from divulging details of the price of the deal. Accusing Prime Minister Narendra Modi and Defence Minister Nirmala Sitharaman of misleading the Lok Sabha, the Congress threatened to motion of breach of privilege against them. Former defence minister and senior Congress leader AK Antony, who had signed the deal in the UPA I regime, said that it was “totally wrong” of the Modi government to claim that a secrecy clause in the pact was forcing it to not reveal price details. Antony said that the deal has to be scrutinised by the Comptroller and Auditor General (CAG) as well as Parliament’s Public Accounts Committee (PAC), so the government cannot hide the price details. “The scope of the agreement only extends to tactical and technical details of weaponry relating to the capability of the platform in question and its performance and tactics in combat and does not include commercial details and costs,” Antony said. In a press conference in New Delhi, former Union Minister Anand Sharma said that PM Modi and the Defence Minister owe an explanation to Parliament. “Deluding and misleading the people of India, the Prime Minister and Defence Minister sought to lie on the floor of Parliament. Neither the revelation of the commercial cost of Rafale aircraft will violate any secrecy agreement with the French government nor will it reveal any classified or protected information,” Sharma said. Both Antony and Sharma said the Prime Minister sought to “hide behind a cloak of pseudo nationalism” and accused the Modi government of being “guilty of compromising national interest and national security”. “Grave apprehensions and claims of insurmountable loss being caused to public exchequer stand exposed as government refuses to state the truth,” they said. Claiming that the per aircraft price of Rafale as per international bid in 2012 during UPA government came to Rs 18,940 crore for 36 aircraft, the leaders said the Modi government purchased the same number of aircraft for Rs 60,145 crore and asked BJP to explain the extra amount of Rs 41,000 crore paid from public money. “This price is apparent from the ‘Annual Report, 2016’ of Dassault Aviation,” they said. They contended that under the law, the government was bound to provide to full information to the Public Accounts Committee of Parliament, Parliamentary Standing Committee on Defence and the Comptroller and Director General of India (CAG) and asked why the Modi government was not disclosing the commercial cost of the deal. Antony and Sharma referred to two replies given by the Defence Ministry in 2016 and 2018 in Parliament revealing the price to be approximately Rs 670 crore per aircraft and asked why was the Defence Minister lying today. 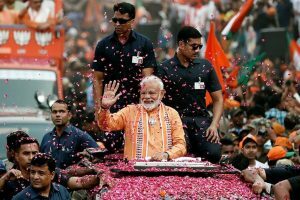 They also quoted an interview given by French President Emmanuel Macron to a prominent news channel in India saying that if the Modi government wanted to disclose some of the details with the opposition, it can do so. The two leaders also referred to answers given by the UPA government between 2010 and 2013 regarding the price of acquiring INS Vikramaditya, upgrade of Mirage aircraft, procurement of Sukhoi aircraft and development of Kaveri engine.